CES 2018 Best of Day Three – Welcome to the Future! What does a futuristic car, a robot motorcycle, and a machine that can play ping pong (shown at this year’s CES) have in common with the future of television and AV? 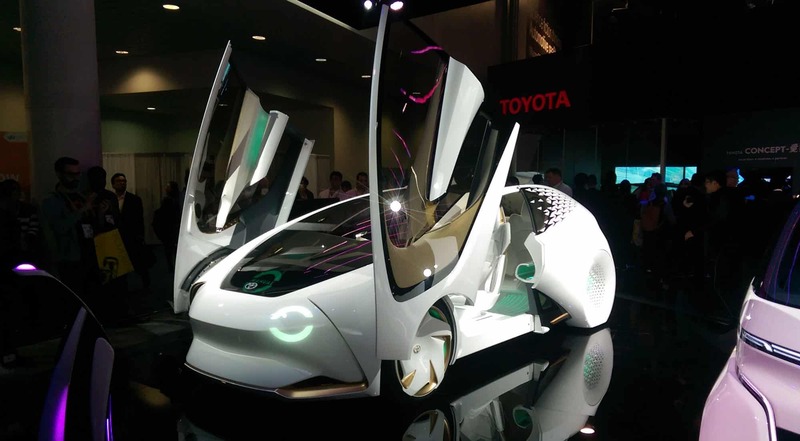 Futuristic car shown by Toyota at CES2018, Welcome to the future! 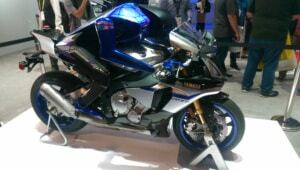 Yamaha’s robotic motorcycle which has reached speeds of 220 MPH. Live demonstration of ping-pong-playing robot with almost instantaneous reflexes. Figure it out? Yes, it is AI, artificial intelligence, and it’s a key theme of CES 2018 – not just for robotic applications, but for television. Two key applications for television in 2018 and beyond are AI image processing and advanced voice control. Imagine, instead of looking for remotes or touching an expensive LCD control panel that was programmed by specialized professionals, simply saying, “Alexa”, or “OK, Google”, “television on, Netflix app!” Yes, we have had some basic commands in the past, but now with more advanced commands and a whole host of voice controllable devices, it’s all beginning to make more sense. It’s not just about internet connectivity, its about control and advanced image processing. AI in television allows for incredible HD to 4K upconversion, image detail, color improvement, noise reduction, HDR, and even HD to 8K as demonstrated by Sony, Sharp, and Samsung, among others. Processing power in TVs is no longer just about apps and 4K; its about image quality and advanced voice control and there is no going back. 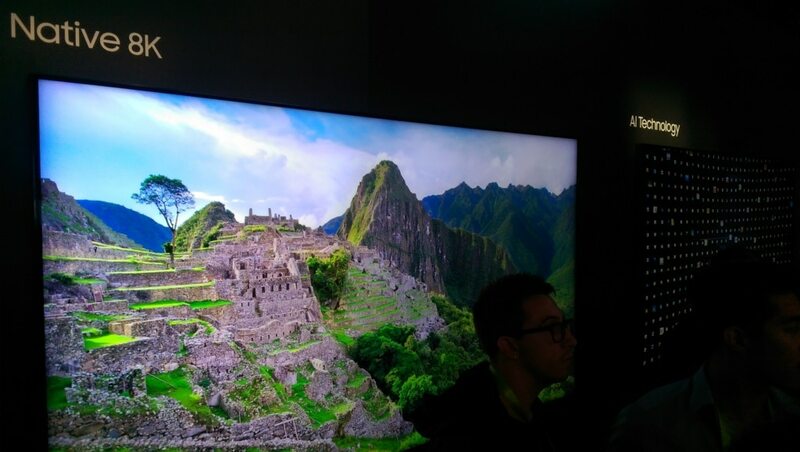 Samsungs 85″ 8K TV with AI demonstration on show floor, scheduled to be formally introduced this Spring. One thing is certain, AI is progressing at a rate that we can hardly comprehend and it will change the way we interact, control and enjoy the next generation of television displays. Is there something you’re excited for that artificial intelligence will impact? 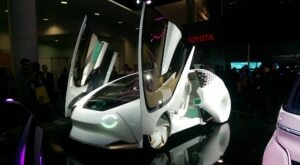 This entry was posted in AV Solutions, General News and Updates and tagged AI, Alexa, artificial intelligence, futuristic car, Native 8K, ping pong, robot motorcycle, Samsung 85" 8K TV, Samsung 85" AI TV, Samsung's 8K TV with AI, Toyota, Toyota car, Toyota futuristic car, Yamaha, Yamaha robotic motorcycle.